With all of the areas of life that IBS impacts, relationships can often be a challenging subject. It’s not just romantic relationships! The way IBS sufferers interact and socialize with friends and family can also be hard. Those living without IBS sometimes cannot see the hardest parts of IBS. 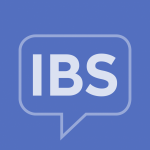 Join us below in discussing the ways in which IBS has impacted the relationships in your life. How have your relationships changed since your IBS diagnosis? Does IBS impact your relationships and social life? Read how others have been impacted and join the conversation here. We have plenty of ways to get in touch with others and their experiences with relationships and IBS. Join us on Facebook, Twitter, or friend members on our site!